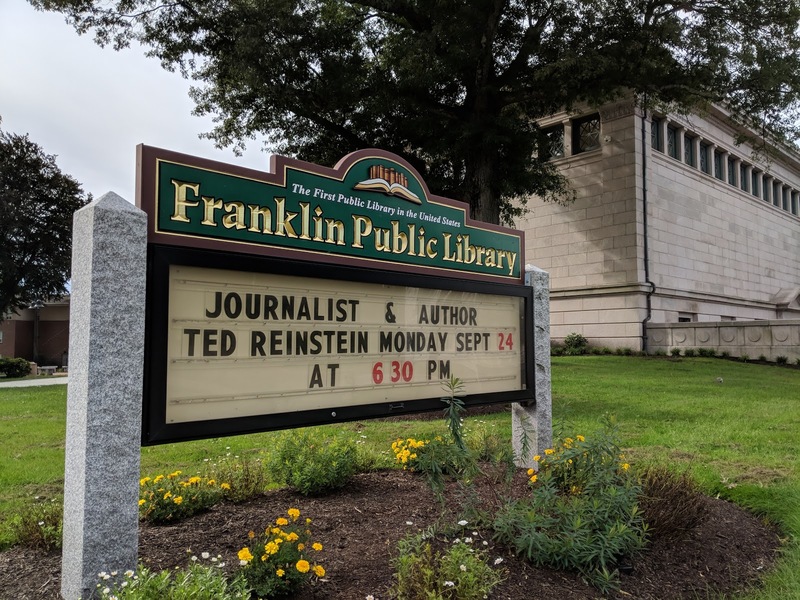 Journalist and Author Ted Reinstein scheduled to speak at the Franklin Public Library on Monday, Sep 24, 2018 at 6:30 PM. 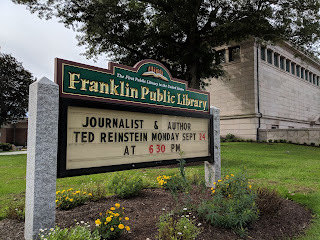 Ted also spoke in 2014 at the Library. At the time the enthusiastic group who listened and wanted to buy his book, went across the street to the Ginley Funeral Home parking lot where he sold copies of his book. Maybe the capability to sell books on the Library grounds has changed. It was being talked of during the renovation of the Library. We'll see. 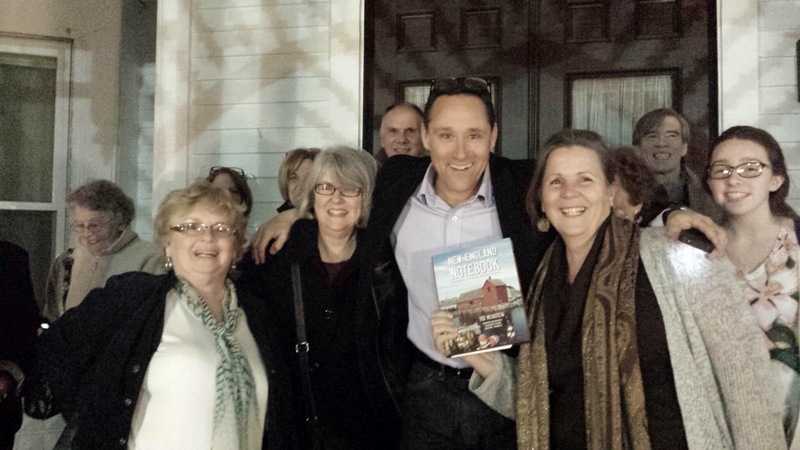 Ted in the center of the Franklin book buyers!